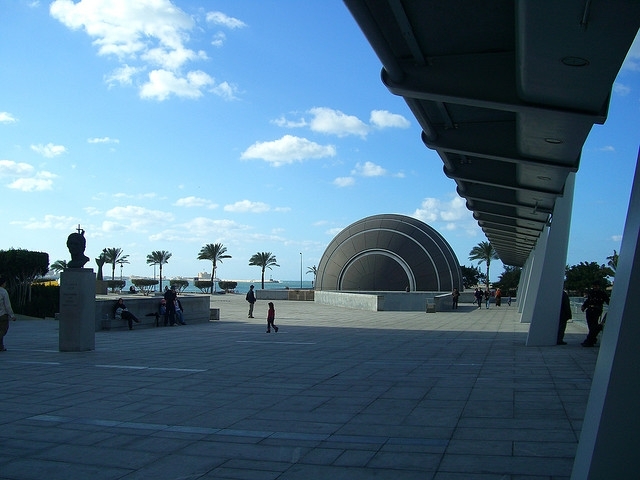 The New Alexandria Library is a completely new modern structure which replaced the original Library which was established 2300 years ago in the Ptolemaic era during the reign of ‘Ptolemy Filadlfos’ The library was a cultural and intellectual complex for all scientists and a source of knowledge to the Mediterranean region. 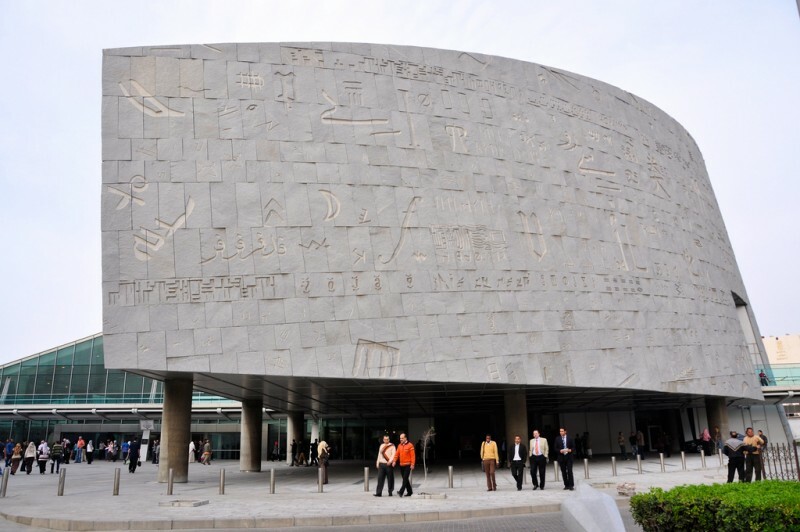 Now, the Old Alexandria Library renewed by establishing the New Alexandria Library to be one of the biggest scientific and cultural centers specialized in the region affairs and its culture, science and arts to attract scientists from all over the world to Alexandria as a world center for culture and knowledge. 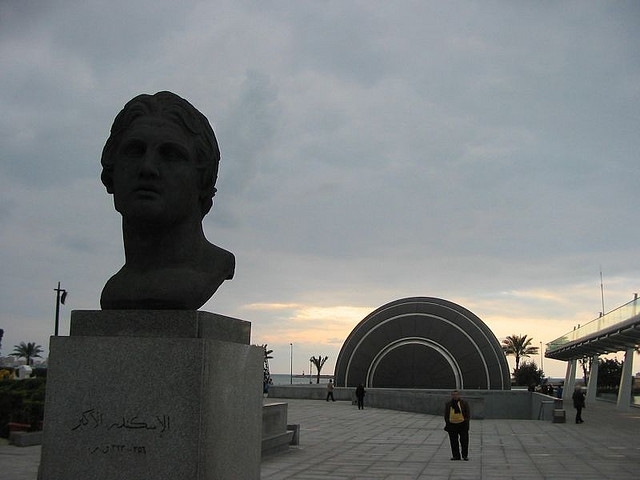 Just a 3 hour drive from Cairo is the Port City of Roman Alexandria. 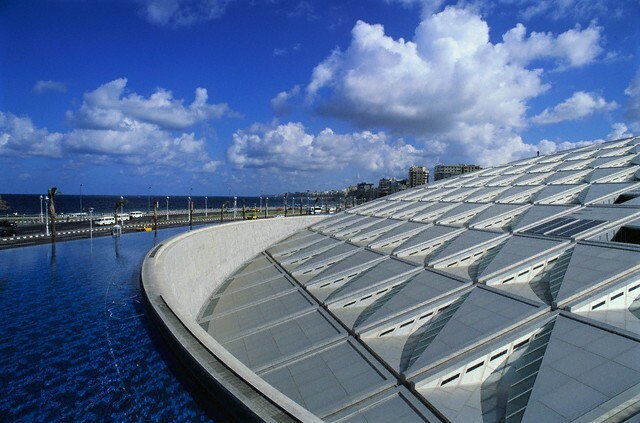 Once arrived in the Centre of Alexandria, you are met by a long Corniche (seafront) which stretches for several miles and on which the new Alexandria Library is located right on the seafront. 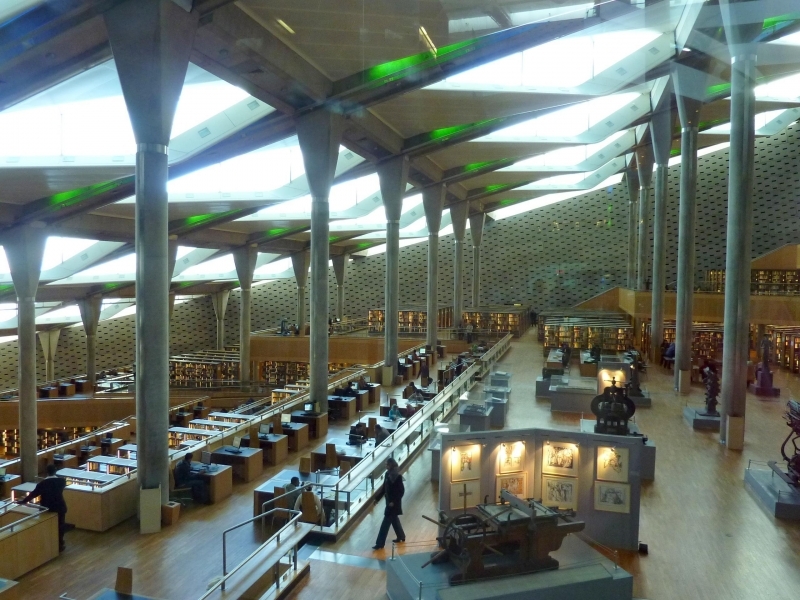 It is an extremely impressive structure and unique in design. 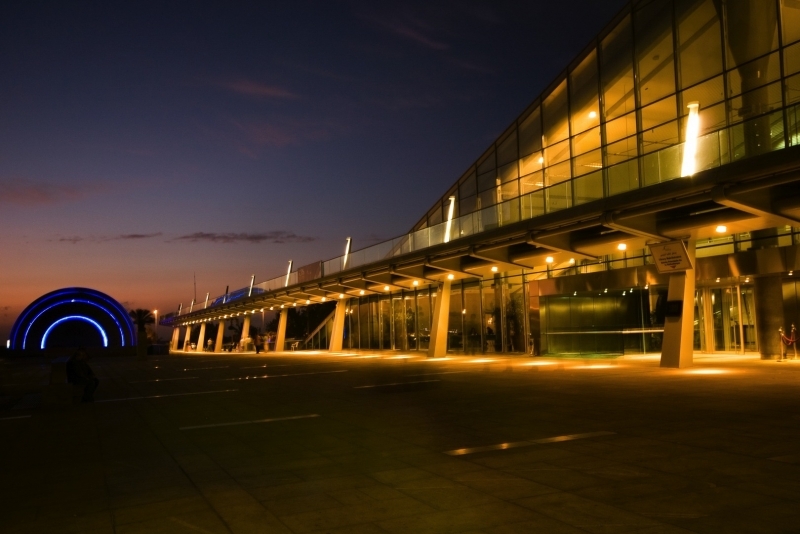 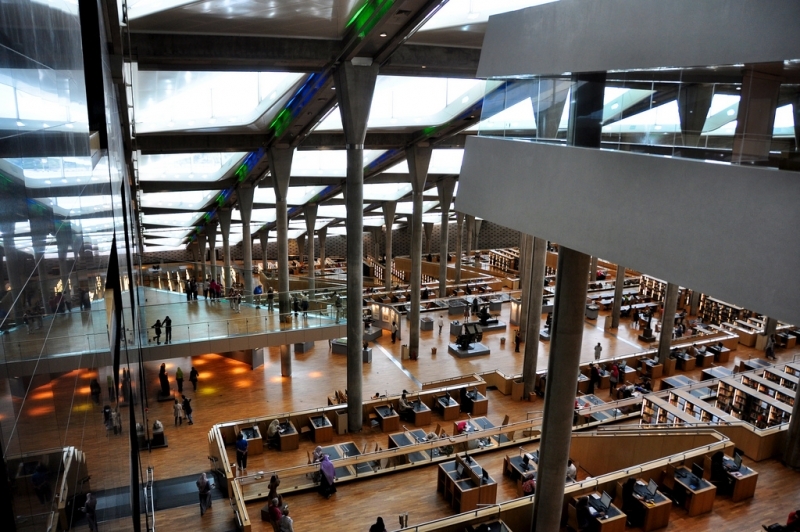 The New Alexandria Library ( also known as the Bibleotheca) host several internal departments including The Central Library, Youth Library, Library for the blind, Planetarium, Science Museum, Scripts Museum and Antiquites Museum, The International Institute for Information Studies, Conference Center and its services. 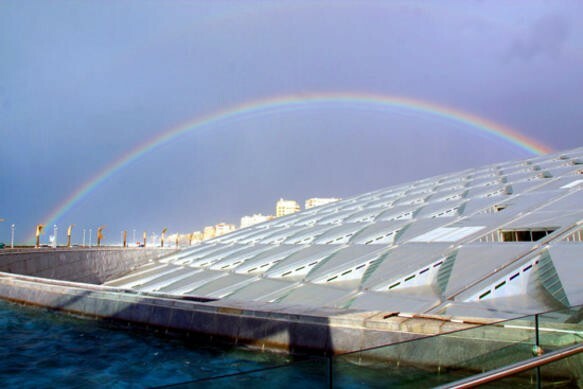 The inauguration of the New Alexandria Library was on 16 October 2002, it was a world celebration, attended by some of the world leaders and delegation heads of 80 countries.